Jewish groups expressed alarm Tuesday over new federal rules on immigration and border security unveiled by the Trump administration. “These new rules are extremely ill-advised and counter to our values as a nation that has always served as a beacon of hope for people around the world,” Anti-Defamation League head Jonathan Greenblatt said in a statement. “The guidelines released today treat vulnerable people, many of whom are unaccompanied children and asylum seekers, like criminals,” warned Mark Hetfield, president of the Jewish refugee rights group HIAS, formerly the Hebrew Immigrant Aid Society. Under a sweeping rewrite of immigration enforcement policies announced Tuesday by the Trump administration, millions of people living in the United States illegally could be targeted for deportation — including people simply arrested for traffic violations. “This step is deeply problematic on many levels. 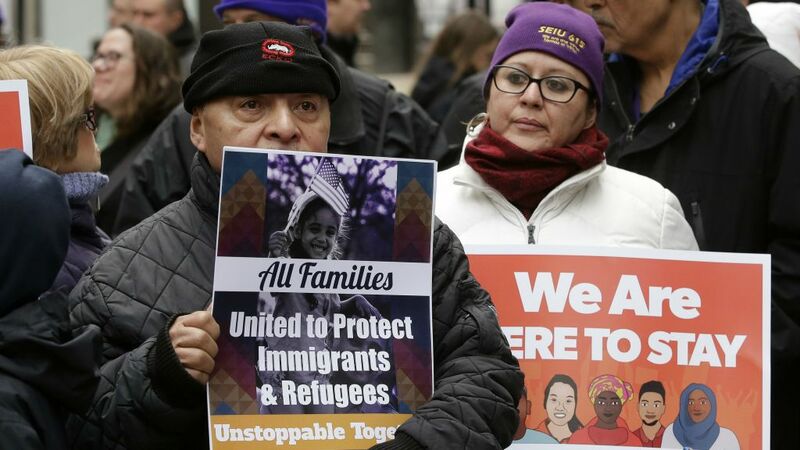 It removes critical due process rights for new immigrants and imperils countless numbers of refugees fleeing extreme violence in Central America,” the ADL statement said. 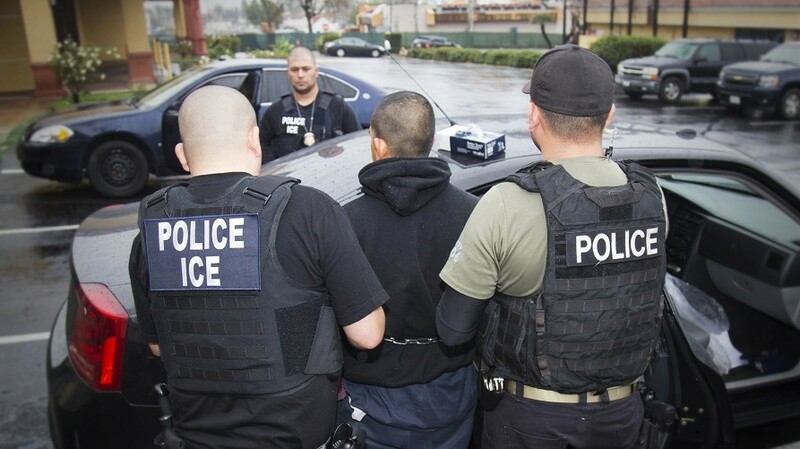 “Perhaps most concerning of all, however, are the efforts to effectively turn local law enforcement officers into de facto immigration agents,” Greenblatt added, referring to a plan by the administration to review a program that allows local police and jailers to act as immigration agents and a program that used fingerprint records from local jails to identify immigrants who had been arrested. The Trump administration memos replace more narrow guidance under the Obama administration focusing on immigrants who have been convicted of serious crimes, are considered threats to national security or are recent border crossers. Under the former policy, immigrants whose only violation was being in the country illegally were generally left alone. Those immigrants fall into two categories: those who crossed the border without permission and those who overstayed their visas. The new enforcement documents are the latest efforts by US President Donald Trump to follow through on campaign promises to strictly enforce immigration laws. He’s also promised to build a wall at the Mexican border — he insists Mexico will eventually foot the bill — and Kelly’s memos reiterate calls for Homeland Security to start planning for the costs and construction. Kelly’s enforcement plans call for enforcing a longstanding but obscure provision of immigration law that allows the government to send some people caught illegally crossing the Mexican border back to Mexico, regardless of where they are from. Those foreigners would wait in that country for US deportation proceedings to be complete. This would be used for people who aren’t considered a threat to cross the border illegally again, the memo says. That provision is almost certain to face opposition from civil libertarians and Mexican officials, and it’s unclear whether the United States has the authority to force Mexico to accept third-country nationals. But the memo also calls for Homeland Security to provide an account of US aid to Mexico, a possible signal that Trump plans to use that funding to get Mexico to accept the foreigners. Historically, the US has quickly repatriated Mexican nationals caught at the border but has detained immigrants from other countries pending deportation proceedings that could take years. 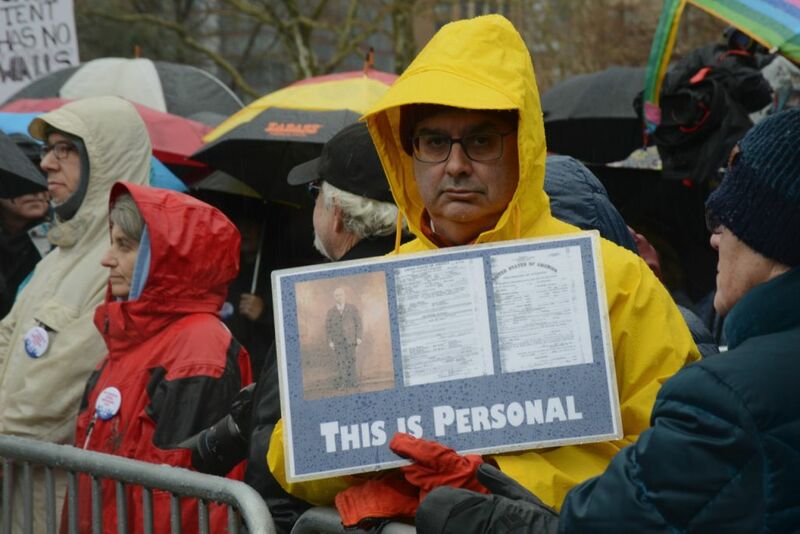 The memos do not change US immigration laws, but take a far harder line toward enforcement.